Long lasting change that begins with you​! "empowering education and Socio-economic growth of deprived children in Africa". Signing up as ACN "partner to make a difference" Donor is a step of commitment to ensuring that every child in Africa has access to Quality education and the right to live free from exploitation and abuse. It's a timely funding that will enable ACN deliver on it's mission of child education and protection in the African communities. "The right to education and Freedom for all children in Africa"
It's that simple and easy to donate via Paypal, Debit or Credit cards. Just click the amount of your Monthly Gift and you are good to go! Non profit transparency verified by Guidestar with a Platinum status. 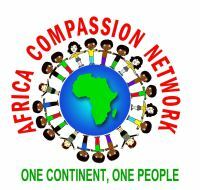 AFRICA COMPASSION NETWORK (ACN) is a non-profit 501(c)(3) public charity.